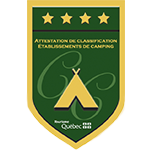 In the beautiful region of the Upper Richelieu (Montérégie), just 30 minutes from Montreal, the Terrasse St-Marc campground is located near the banks of the Richelieu River. This friendly, family and peaceful campground offers more than 382 sites. relax, share and have fun. 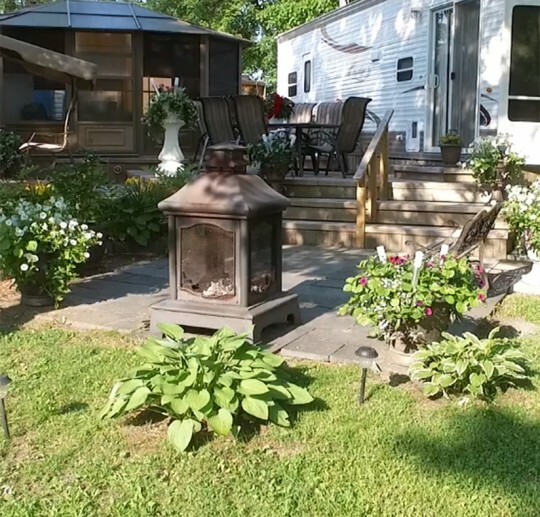 You will be charmed by the friendliness, the personalized welcome, the environment and the comfort offered by our campground, which already has over 40 years of tradition and excellence. No wonder our campers feel so good here and they love coming back here, from one year to another. The current owners are indeed former campers who loved the site so much they did not hesitate to buy it, a dozen years ago. They never stopped to upgrade it since and modernize its facilities to make your stay with us a very enjoyable and relaxing experience. Not too big, not too small, the Terrasse St-Marc campground is reasonable in size and can thus maintain a friendly and family atmosphere. Here, we talk, we say hello, we chat, we talk. We welcome mainly seasonal campers, but also casual visitors. With our hardwood vegetation, the amount of mosquitoes is negligible on site. This allows everyone to fully enjoy the season by indulging in outdoor activities. Known for its tranquility, our campground offers various leisure facilities and proposes activities that meet the tastes and needs of all campers, regardless of their age.